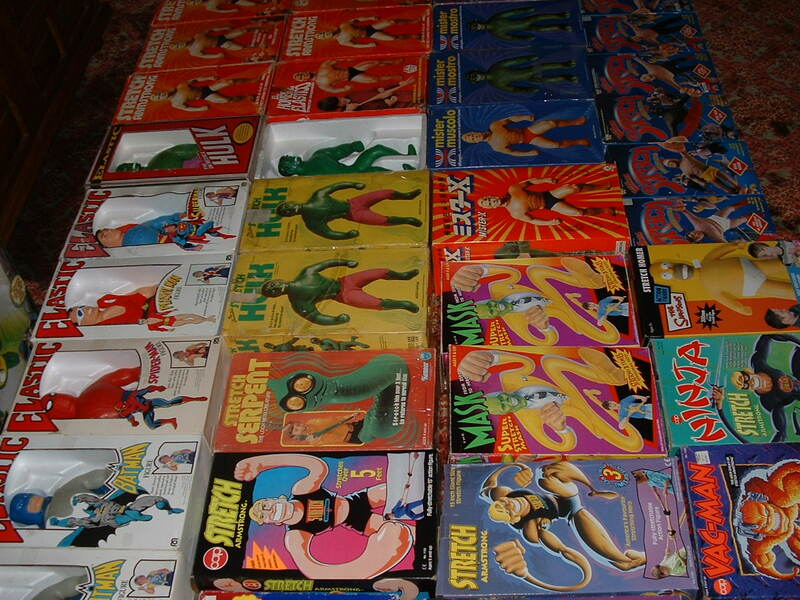 Its hard to believe by any stretch of the imagination how someone could have all these stretches! 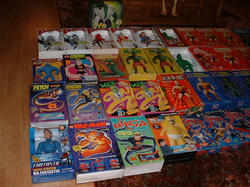 This is my super vast Stretch Collection. I not only have the most stretches, but Mine are of the highest quality and condition. I do have many more duplicates not pictured here. Please be sure to read some of the boxes. 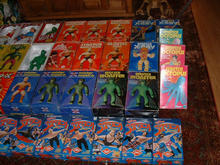 Its easy to mistake some as duplicates such as Elasticman ans Stretch Armstrong. Not shown in these pics is my newly aquired Mego Elastic Mickey Mouse! Dont forget to click on each pic for a supersize mega blast look. Ejoy! ...........Looky Looky! Yippe! 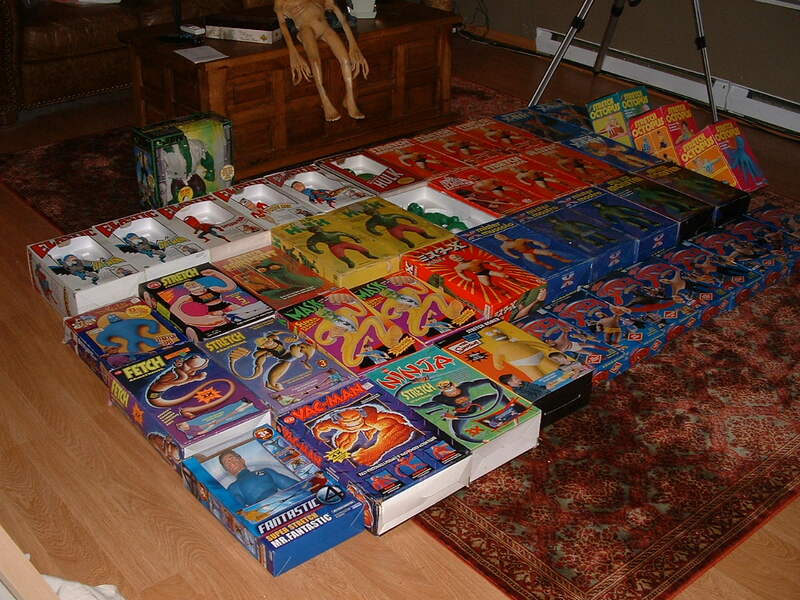 This is one serious collection! 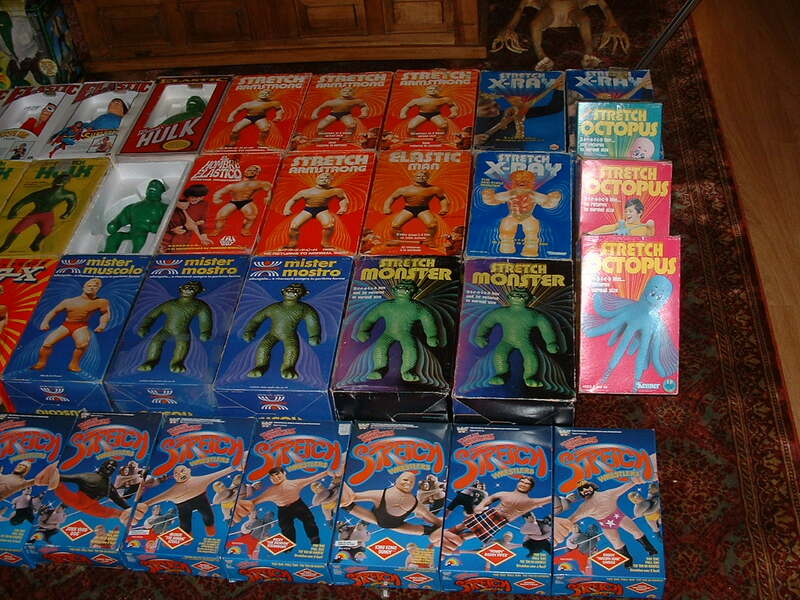 ........All 8 Stretch Wrestlers, All minty mint. Are you kidding me? 5 variations of Stretch Armstrongs? 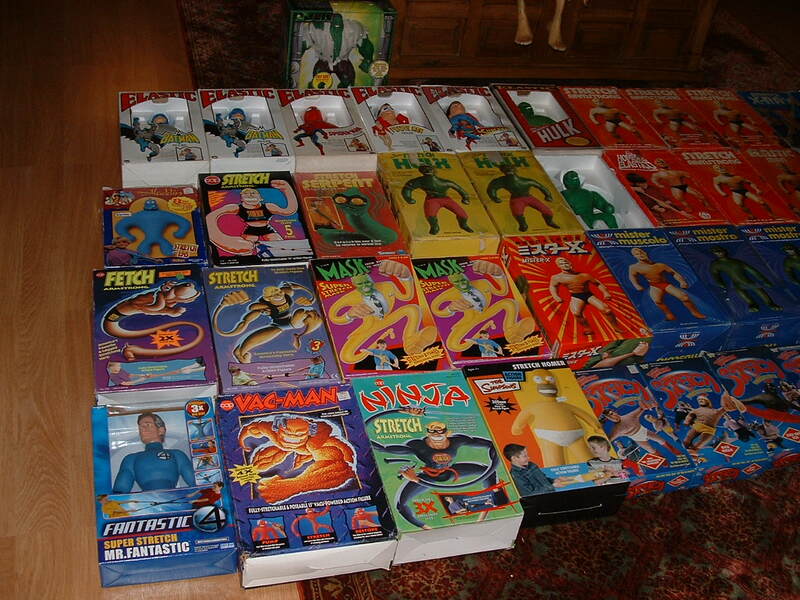 Stretch Armstrong, Elasticman, Mr X, Mr Muscolo, and Elastico Stretch Armstrong. Wow! Wassap Wit Dat? 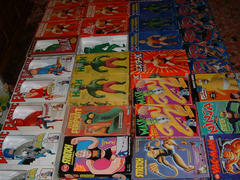 .......All the mego Superheroes? And A stretch Ninja to Boot? Whats this? Do I see four Denys Fisher Stretch Incredible Hulks? Why Yes, as a matter of fact I do See four Denys Fisher Hulks. Are you Green with Envy Yet??? 5! 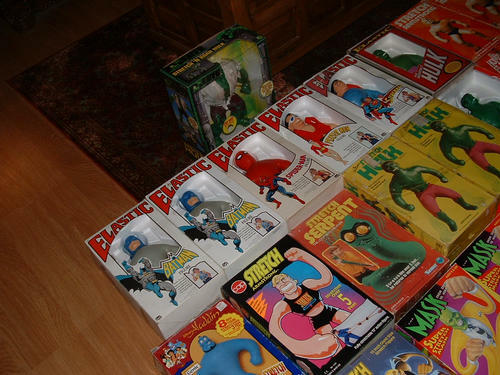 Super Mega Rare, Immpossible to find, Stretch Masks? Ferget Abot it! Just look at these super rare Stretch Molds. 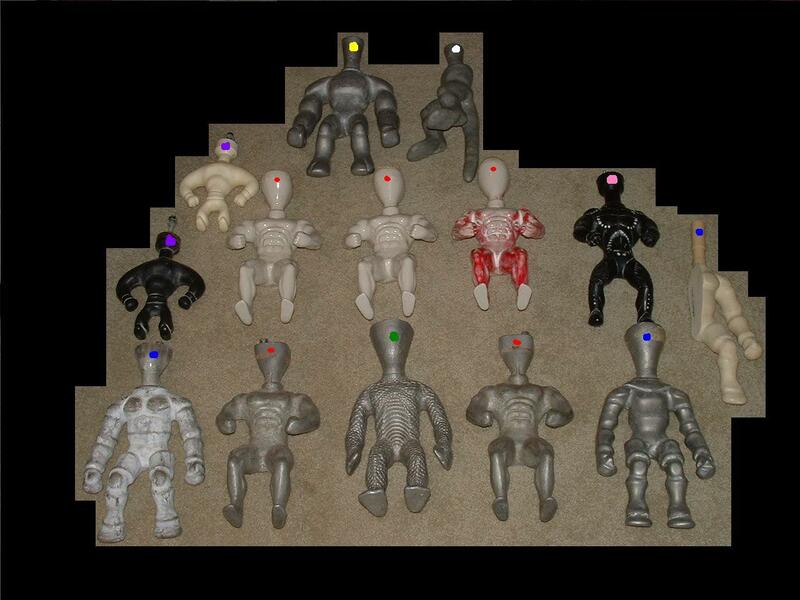 You can identify them by their color code on the head area. 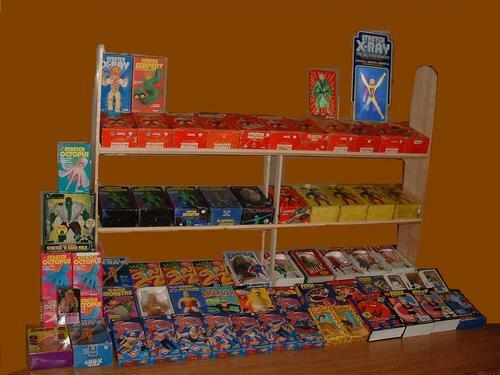 Red, Stretch Armstrong,Blue,STretch X RAy, Green STretch Monster, Purple STretch Genie, Pink Rare unknown Stretch Figure,Yellow Vac Man, White Stretch Kangaroo. Click on pic for a super size look! Wait a minute, Did somebody just say 8 perfectly new Stretch Monsters and a totally immpossible to find totally soft, like brand spaken new, never ever stretched, I couldnt believe my eyes when I bought it cuz it was so perfect Leonardo Dicaprio Stretch X Ray? Yes I think thats what Somebody just said. Now wait just a minute, you got a stretch Genie? Only saw one of those before. Now this is just getting a little bit Crazy! 2! , 2! Mego Elastic Batmans!!! What are you out of your freaken Stretchy Mind!!!! And what about the Serpent, My God The Serpent! !